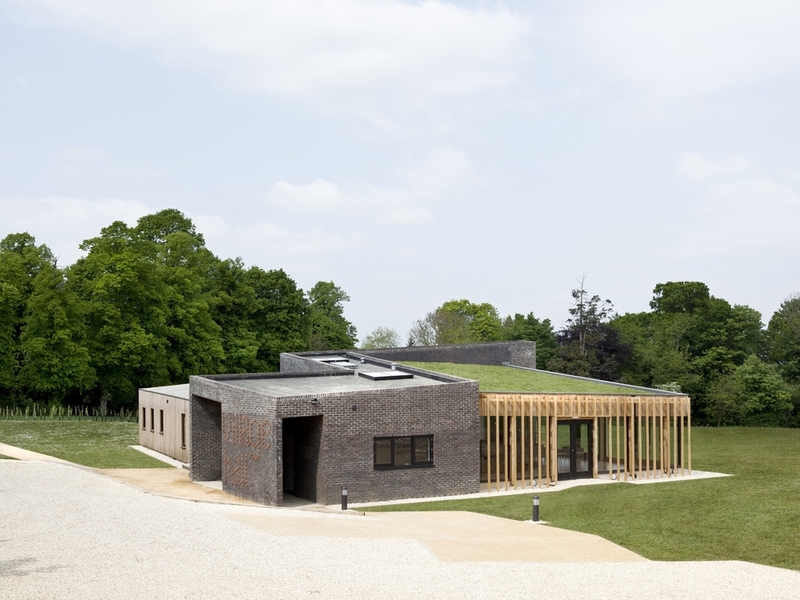 Barcombe Village Hall is a highly sustainable village hall that is designed to offer maximum flexibility for the communities varied events; a theatre company, a crèche, a men’s club and many more local uses. A masonry core defines the design, dividing the building into two volumes. This houses the buildings services and storage allowing rooms to change their function when needed. Within the core a ramped circulation rises to a natural stage area, with openable acoustic partition doors between the stage and the main hall. The core provides both stabilising thermal mass and natural stack ventilation for the building. The two volumes either side have distinct characters, a fully timber clad structure to the approach, and a glazed hall overlooking a scenic valley peering from below a green meadow roof with turfs cut direct from the site.